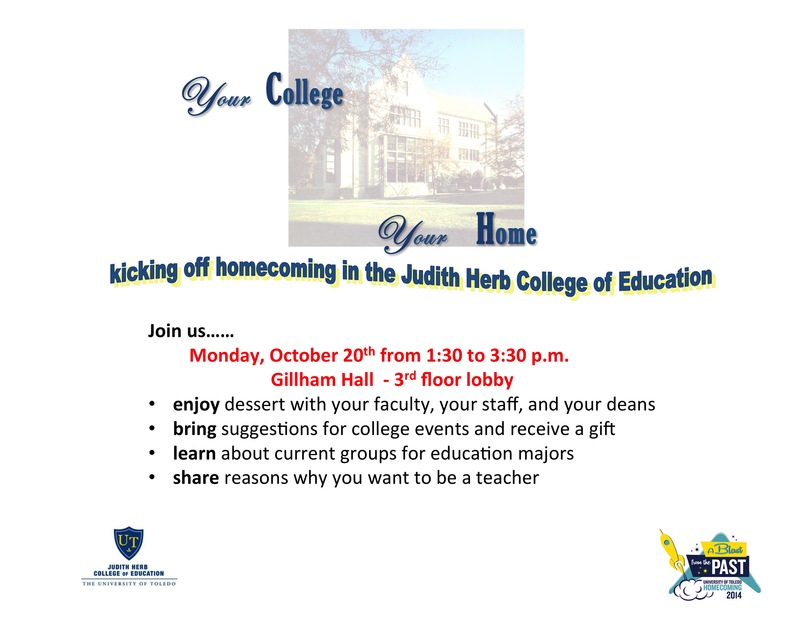 Join us on Monday October 20th from 1:30 to 3:30 PM for the Homecoming Kickoff. 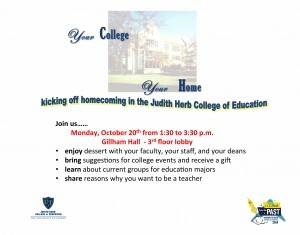 Enjoy desserts and bring your ideas for college events. Join us for the 2014 Homecoming Door Decorating Contest – Before noon on October 20! Plan with a group or individually. 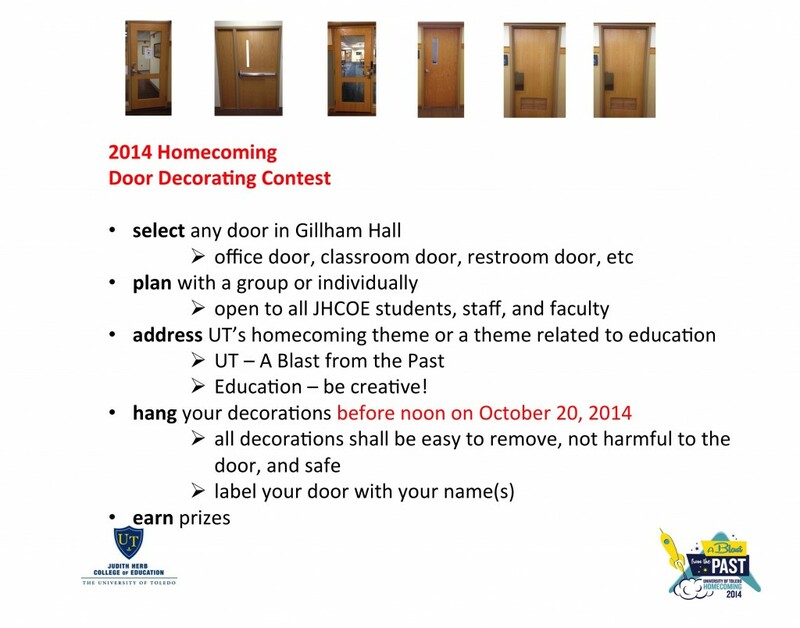 Address UT’s homecoming theme or educational theme. Be creative! Hang all decorations before noon on October 20th. Label door with your name. 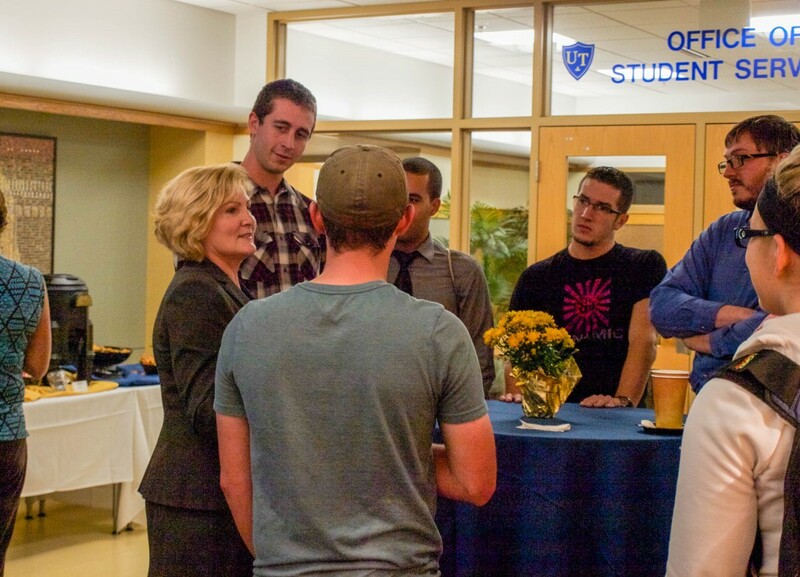 The Judith Herb College of Education welcomes it’s 2013 Distinguished Alumna, State Representation Teresa Fedor. 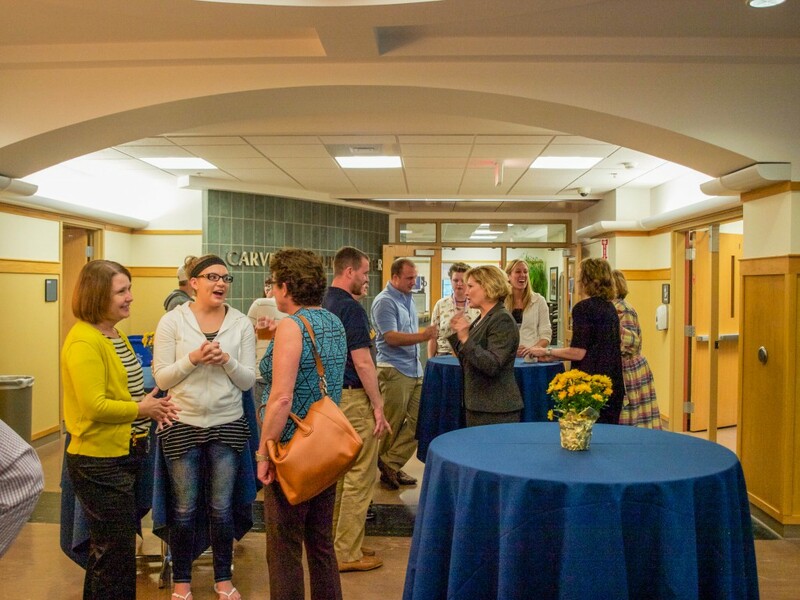 Homecoming is a time for welcoming alums back to campus to reacquaint themselves with former classmates and teachers as well as to meet current students and faculty. Representative Fedor graduated from The University of Toledo with a Bachelor of Education degree in June of 1983 and went on to teach for 18 years. 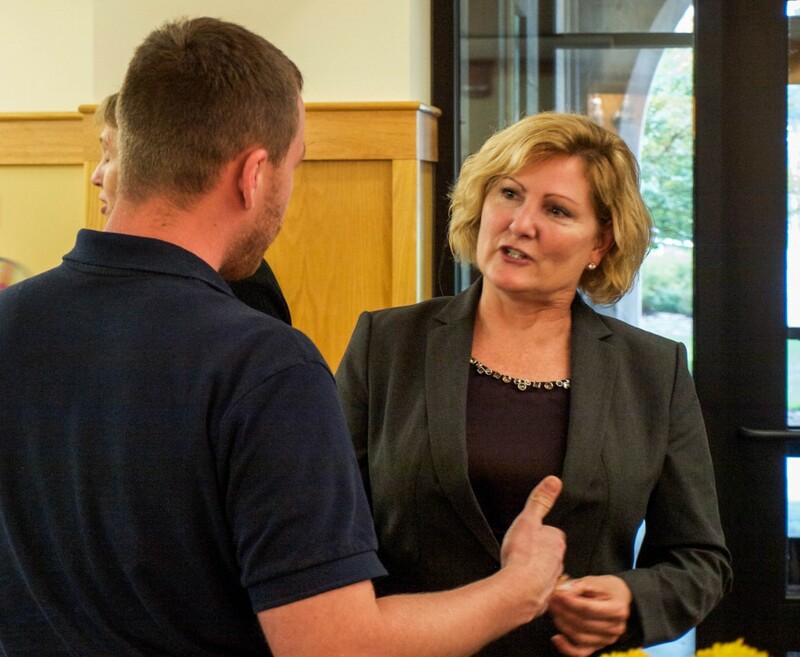 She later pursed a career in public service and is now serving her third term in the Ohio House of Representatives representing the 45th House District. Although Representative Fedor lives in Toledo and attends events at the University, we would like to welcome her specifically to the Judith Herb College of Education as its Distinguished Alumna.